The greatest of American holidays is just around the corner. It’s a good bet that you are considering holding a party for the Fourth of July. But you might like to go beyond the basic backyard Bar B Q of hotdogs and beer. 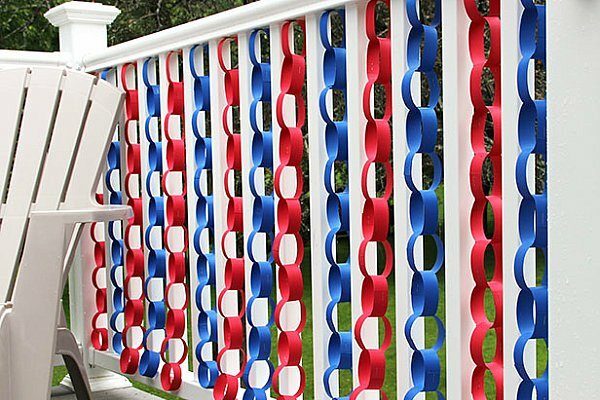 You are in luck because we have a few ideas you just might want to use to spruce up that Fourth of July decorating for the party. Do you have a few Little Leaguers in your home? If you do I am betting you have more than your share of beat up old baseballs lying around. Why not grab them and put them in an old wooden basket or old wooden window box as a centerpiece for the table? Dress that table up even more with a variation on the basic hamburger and you are all set. Rustic chic is all the rage, and what is more appropriate for this holiday than baseball? Mason jars have become the go-to item when it comes to down home decorating looks. Grab three mason jars, paint one with a blue background and stencil white stars. Paint the others with wide red and white stripes. Voila! Our flag in mason jars for your Fourth of July decorating pleasure! Don’t you love the mini flags you can grab at the nearby dollar store? Why not scatter about a dozen of them throughout the house for the big day? Add them to flower arrangements on tables, fly them cheerfully from the front porch chairs. Stick them in flowerpots or garden beds to add that festive touch! The cool thing about this is you could do it almost for free! Check out your local business for wooden pallets that you can get for free. Then paint a flag pattern or just red and white stripes on it and hang on the wall. You get instant patriotism for the Fourth of July decorating gal. 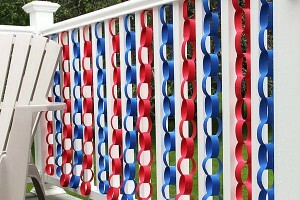 Of course this just barely scratches the surface of cool fun Fourth of July decorating ideas you could do. From festive mason jars with striped straws filled with homemade lemonade to decorating the bar with red white and blue cloth steamers, the limit is up to you. Fill your home with a celebration of what makes American great, invite friends and stir for a great party. Happy Fourth of July everyone!